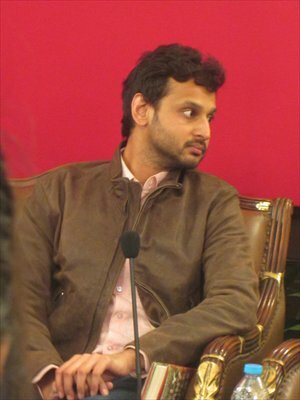 "The Chinese writers who emerged in the 1980s have already contributed to two Nobel Prize for Literature winners, respectively Gao Xingjian (now a French citizen) and Mo Yan," said Shanghai-based writer Chen Cun at a talk involving Chinese and Indian writers, co-organized by the Consulate General of India in Shanghai and the Shanghai Writers' Association last Sunday. 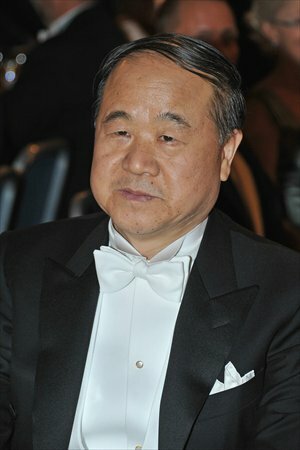 "Since the end of the Cultural Revolution (1966-76), China has witnessed a blossoming of all kinds of literary genres came into being and a number of overseas works of literature have also been imported inside the border," said Chen, who has been publishing his own writings since 1979. Chen's notable works include Chen Cun's Collection and Xianhua He (Flowers And). 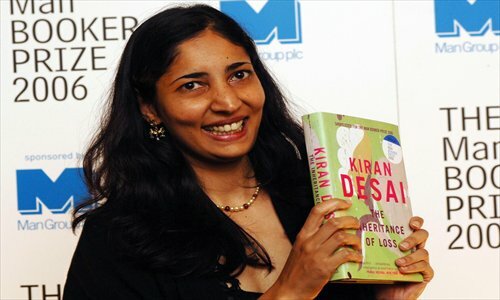 Meanwhile, modern Indian literature witnessed its own blossoming from the 1960s to 1980s, and since then a number of Indian writers have also started to write in English, which has helped contributed to the ever-growing influence of the literature of the sub-continent on the international stage. Among them is Indian writer Rahul Bhattacharya, a featured speaker at this year's Shanghai International Literary Festival, and who also participated in the talk. Bhattacharya's novel The Sly Company of People Who Care won the Hindu Literary Prize (2011) and Ondaatje Prize (2012) and was shortlisted for the Commonwealth Book Prize (2012). "It seems that the higher the fluency in English of the writers, the more easily will they be accepted by international readers," said Peng Lun, foreign literature editor of the Shanghai 99 Readers' Culture Company. The God of Small Things, the debut novel from Indian writer Arundhati Roy, won the Booker Prize in 1997, and The Inheritance of Loss by Kiran Desai has also won a number of international awards, among them the Man Booker Prize (2006), and the National Book Critics Circle Fiction Award (2007). Meanwhile, most major publishing houses in the US and UK have set up branches in India to look for emerging literary talent. "India, like China, is a vast territory which is endowed with multiple ethnic groups and diversified cultures. And the fluency of English there has enabled writers to convey their original thoughts to readers," Peng told the Global Times. "However, most Chinese writers still suffer the challenge of this language barrier." The Japanese writer Haruki Murakami who has "conquered the world" as one BBC report put it, has also drawn the world's attention to the Asian literature scene. His 1Q84, translated into English in 2011, was placed No.2 on an Amazon.com list of the top books of 2011, and has received critical acclaim from the Guardian, the New York Review of Books, and The New York Times. "The scenes in Murakami's 1Q84 do not feature strong local characteristics, which makes it more likely to be understood and related to by Western readers," said Li Yao, chief editor of the foreign literature department at Xinjingdian Culture Company in Beijing, which claims to be the largest privately owned publishing house in China. According to Li, Japanese books constitute 80 percent of the imported Asian books the company deals with. Meanwhile, Chinese writers whose works have been translated into English and other languages, include Yu Hua, Yan Lianke, Wang Anyi and Mo Yan. "Writers from Singapore, South Korea, and also Israel have made themselves known on the international stage, but I have to say that the status of Asian literature generally in the wider world is still very weak," Li told the Global Times. Problems of translation are not the only barrier to greater recognition of the current Asian literature scene. Censorship also poses a threat to the quality and integrity of writing on the continent. But although literary works are still being censored in China, Li said that the restraints have loosened a little in recent years. "Over the past few years in India we have had instances of literary works being taken off university syllabi, writers being threatened, books being burned, libraries being vandalized. Anyone who claims to be offended can do this or bully others into submission: religious leaders, political bodies, goons." Bhattacharya told the Global Times. "This is different from formal state censorship - although sometimes provincial governments ban books - but all writers and readers should be worried." In the past few years, privately owned publishing houses in China have made huge advances, according to Li. Some are capable of printing more than one million copies of a first edition and most publishers today are far more aware of copyright protection than they previously were. Li added, however, that the copyright licensing system in China still needs considerable work. It often happens that famous writers will handle their copyright issues by themselves, and they choose publishing houses solely on the basis of their personal relationships with editors. "Some of them will cooperate with several publishing houses, a situation that often leads to unhappy results," said Li. "Professional copyright licensing agencies are still highly in demand." Peng was in accord with Li in this regard. "We should learn from the more mature system of Western countries, not only as regards the copyright licensing system, but also in national support systems." In Ireland, an organization called the Ireland Literature Exchange provides detailed programs for foreign publishing houses and translators to better import Irish literature. This includes subsidizing foreign publishing houses and inviting translators to Ireland to better understand the country's literary works through personal experience. "Their services are detailed and very clear to related departments, and that's what we should learn from them," added Peng.